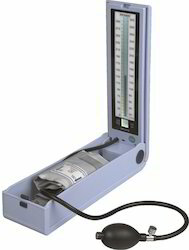 Wholesale Trader of a wide range of products which include aneroid table model sphygmomanometer and mercury free sphygmomanometer. Owing to our well established infrastructure and highly facilitated manufacturing unit, we have emerged as one of the renowned companies offering a top class collection of Aneroid Table Model Sphygmomanometer to the market. Designed with utmost accuracy, these offered products are manufactured under the guidance of our esteemed professionals. Additionally, we make use of high quality raw inputs for their production. 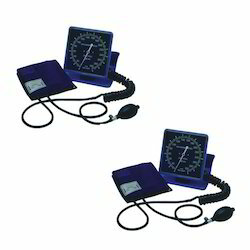 Our prestigious clients can purchase from us an enormous assortment of Mercury Free Sphygmomanometer. It is extensively used to protect the patient against airborne infective agents and manufactured using premium quality raw materials and latest technology. Stringent quality testing is done on various stages starting from procurement of raw materials till the final delivery. It is widely offered in different sizes and is available at pocket friendly prices.